Welcome to the Hermit Park Outside School Hours Care service, we are a approved centre for 75 children. 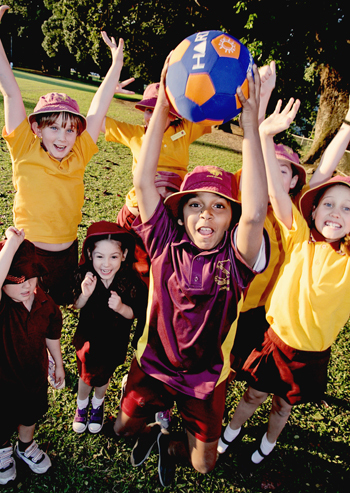 We deliver before school care, after school care and vacation care catering for school aged children. During Vacation care we do take enrolments from other school depending on availability. Our Educators look forward to caring for your children and forming a meaningful and lasting relationship with you and your family. We have a Coordinator (nominated supervisor) and an Assistant Coordinator who work daily to ensure continuity of care. All Educators employed at our service are trained in First Aid ad CPR. Our educators hold or are in the process of holding a current Suitability Card for Child Related Employment, issued by the Commission for Children and Young People. Our service has been assessed againist the National Quality Standard for Early Childhood Education and Care and School Age Care. We achieved the following ratings: Exceeding for all seven quality areas. A variety of supervised activities will be programmed for each day of Before, After School and Vacation Care (e.g. cooking; painting; clay work; crafts; music; outdoor activities). Opportunities for quiet play will also be provided, including areas for children to withdraw from all activities. The Coordinator will happily discuss any aspect of the program with interested parents. Alternatively any parents can give feed back to the coordinator via the website. The coordinator also conducts an annual survey which gives parents the option to convey any thoughts and inputs into the program. The children also get the opportunity to express their thoughts about the vacation care program and express any other idea’s they may have. 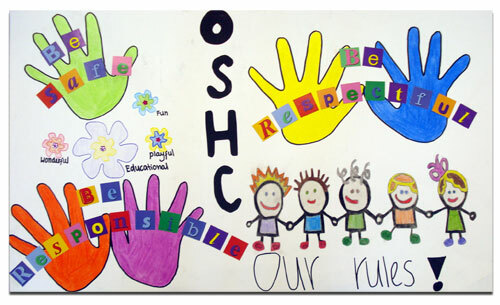 Our Service recognises and acknowledges the importance of providing food that is both nutritious and appropriate to the needs of the children attending OSHC. Our service encourages and promotes the health and wellbeing of children through providing positive learning experiences during meal/snack times where good nutritional food habits are developed in a happy, social environment. Parents are encouraged to participate in this approach to nutrition for their children. We cater for all children with food requirements including allergies, intolerances and religious beliefs. Be Respectful, Be Responsible, Be Safe. No swearing, raised voices or aggressive language to be used.